Quick – what is THE biggest shopping day of the year? If you answered Black Friday or Cyber Monday, you are close, but too late in November. 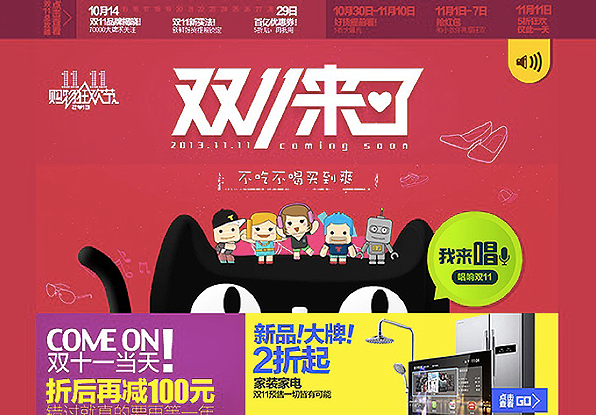 The biggest shopping day of the year is actually China’s “Singles Day” on November 11. The holiday is a celebration for people who are single, chosen because of the connection between singles and the number ‘1’. It serves as an occasion for single people to party – and shop. Last year, the holiday recorded a staggering single-day sales of approximately $5.75 billion in online sales. This year – be prepared for it to get even bigger. Estimates are that 26,000 vendors, including leading Chinese ecommerce companies Alibaba and Tmall, will participate for a projected sales total of $8 billion. It’s not just online companies competing for sales; brick-and-mortar retailers are also looking to gain sales by offering steep discounts, special events in stores, and even extending the holiday for a few days past Nov. 11. The event is not just limited to China – vendors and shoppers in New York, Paris, Japan, Korea, Australia, and other countries are getting in on the action. The purchases all have to be shipped also – an estimated 500 million packages are expected to be delivered this year as part of the sales. Discuss how this holiday compares to the U.S. shopping days of Black Friday and Cyber Monday.